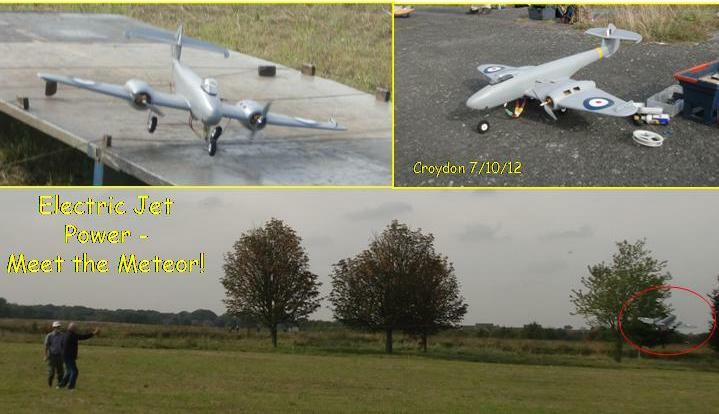 For the last scheduled get-together of 2012 the weather-gods actually smiled and the conditions on the former Croydon Aerodrome were pretty much perfect. Our general fitness was tested straight from the car as the field gate had been locked to prevent “trespass” by some travellers camped nearby, but undaunted Andy Housden and helpers had set up the deck and judges’ table when Jane and I arrived at 10:30, and the sound of engines running up was music to my ears! As this was my first event I spent a lot of time in the pits fixing real or imagined problems in my fleet of aircraft before getting in a flight, but all the while there was a steady stream of very competent missions flown from the deck, as well as scale models on the adjacent tarmac circle. 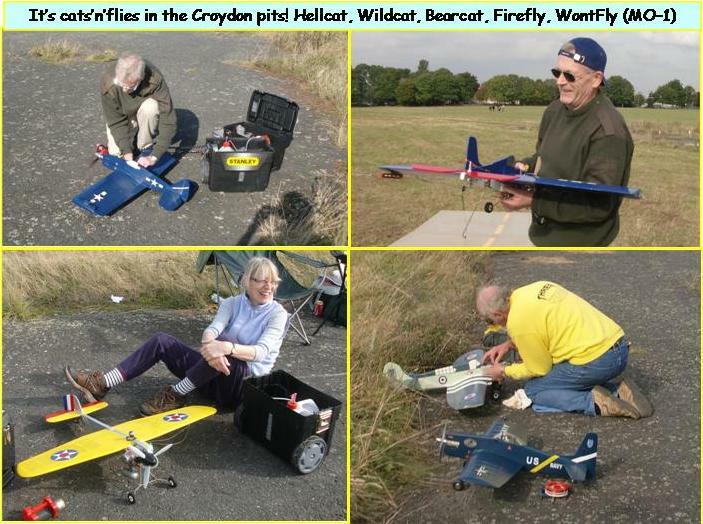 This event is held on the Three Kings Club flying field (formerly part of Croydon Aerodrome), and jolly good it is too – some R/C guys were doing their stuff in the next field, all co-existing happily just like it used to be back in the 60s when I first started. 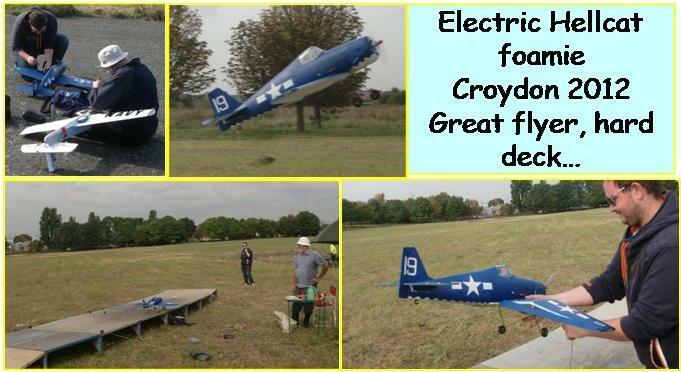 Some lovely models, electric as well as glow, and some really excellent flights. Actual results will follow – the only position I know for certain is mine – last! Here are some pictures – sorry there isn’t more written detail (tech specs, names etc) but I was a bit busy with Perry carb problems again – maybe you can help by emailing me your details if you were there so I can give due credit. Andy Housden, the Three Kings Club and all who attended deserve lots of thanks – a great day out! PS Here’s a link to the only video I’ve got from the event – my Hellcat – it lost its silencer and throttle control after the fast section, then hit a fence post as I tried to ditch. Model OK, fence not, pride wounded!